The United States Air Force said Thursday that there is nothing wrong with troops getting “Make America Great Again” hats signed by the president, countering a media narrative about potential misconduct. During an unannounced visit to U.S. military bases in Iraq and Germany the day after Christmas, President Donald Trump snapped photos with and signed memorabilia for U.S. service-members. The media’s criticism largely centered on a military policy that prevents active duty military from engaging in “partisan political activities,” despite the fact that the president is not currently a political candidate and was not engaging in campaign activity during his visit. 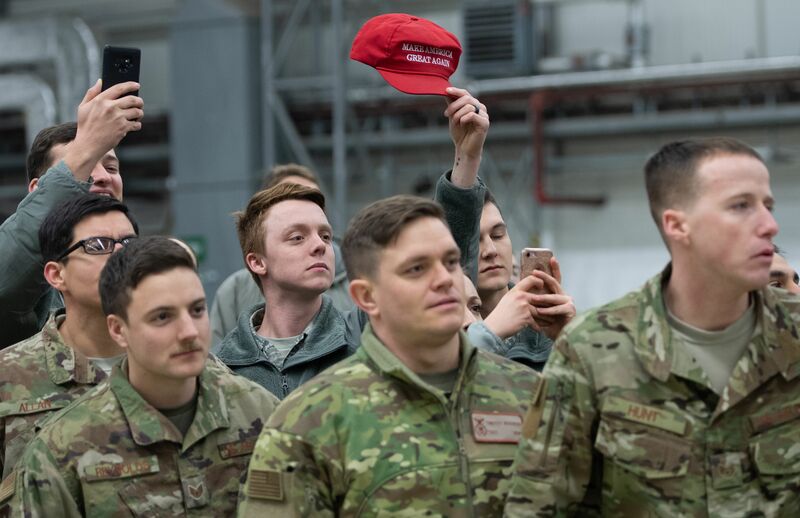 U.S. Air Forces Europe made clear in a statement Thursday that troops at Ramstein Air Base did not break any rules by bringing their own hats for the president to sign. “There is no rule against Airmen bringing personal items to be signed by the president,” USAFE said, noting that while troops held the hats to be signed, they never wore them while in uniform. The U.S. Army has not released a similar statement about alleged violations during Trump’s visit to Al Asad Air Base in Iraq.